El Tigre Golf Seats introduces the new GEM® CART aftermarket seats featuring Parà Tempotest® fabrics. The “oh so comfortable” bucket seats offer both reclining, and fore & aft positioning. We offer both bucket and bench style, with a wide variety of colors available! The new fabrics are designed to withstand extreme sunlight as well as being water repellent and mildew resistant. Take a look at our pricing on our Seats & Prices page or call 574-206-9000 with any questions! 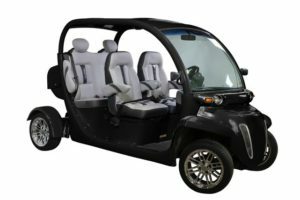 Learn more about the GEM® Cart on our blog! 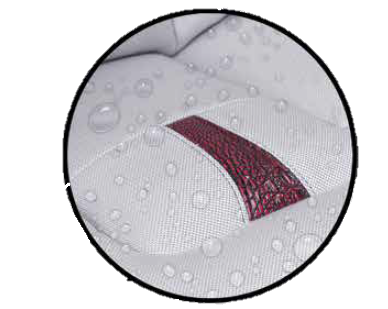 Branded by Parà Tempotest® fabrics benefit from a finishing process developed in partnership with Teflon®. Teflon® Extreme by Parà is a nanometric particle surface treatment that forms a molecular barrier around each fiber, providing double action protection and a self-cleaning system that repels water and oil-based stains. During the production process, the fabric is introduced into the Teflon® Extreme finishing bath creating a strong bond with the fiber and forming an invisible barrier. The highly-repellent component contained in the barrier helps bond water and rain to wash away dirt, eliminating marks, and preserving the fabric’s beauty and performance over time.